Victoria has worked with animals since 2008, decided to become a nurse and qualiﬁed in 2015. Since becoming a RVN Victoria has worked in referral centres gaining valuable experience in all departments from medicine to surgery, orthopaedics to dentistry. 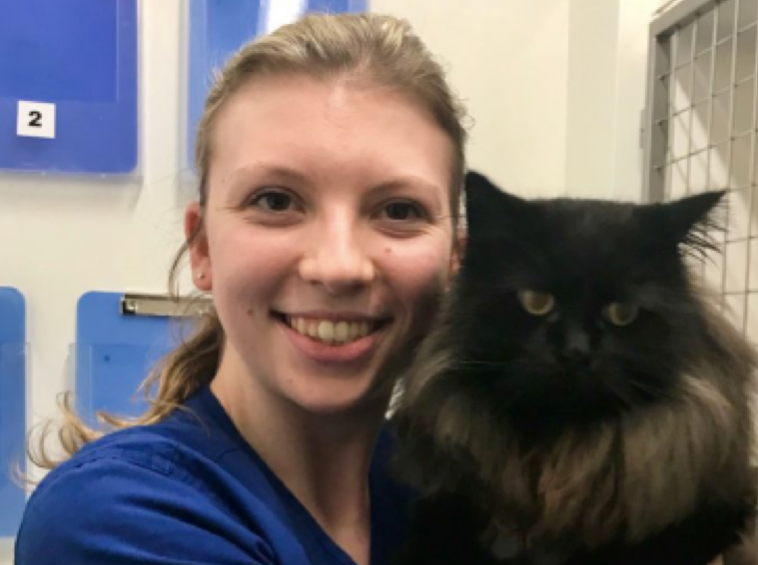 Victoria very much enjoys medical nursing and has a keen interest in smaller furry pets such as rabbits, guinea pigs and hamsters, though cats are a passion. Victoria enjoys horse riding; she has two rabbits, a cat and a bearded dragon.